Do you have a car garage and are you looking for a durable floor? 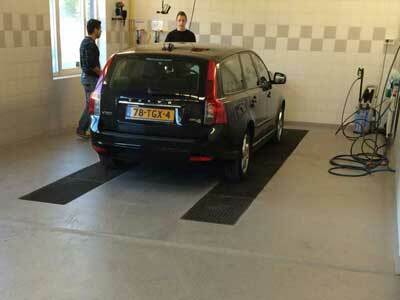 We supply synthetic floors for garages. Looking for a luxury showroom floor? We supply attractive synthetic floors for every showroom. 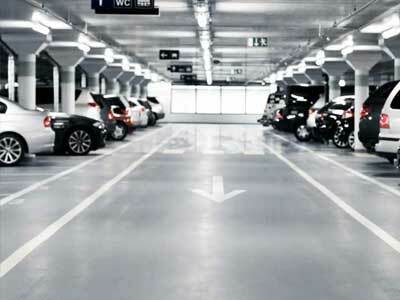 Need a new car park floor or a renovation of your current car park floor? We do it all. 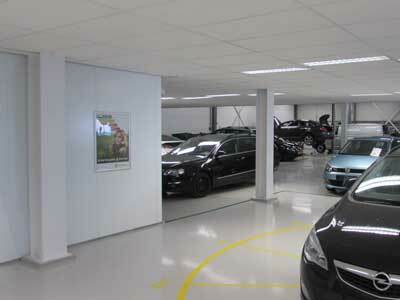 We supply coated floors and walls in the automotive sector for every car garage, showroom, car wash or parking garage. 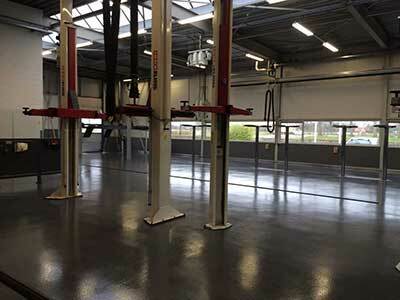 It is important for every company in the automotive industry to have a good workshop floor. It isn’t just time-saving and cost-effective, but it also contributes to the safety of your staff and the image of the entire company. For the right look of your showroom, you need the right showroom floor. A floor is very decisive for the appearance of your business space and it ensures that your products are brought to the fore. And everyone has specific wishes and requirements, whether they are motorbikes, microcars, cars or vans. Floors of garages and car parks have a heavy task. Every day many heavy vehicles carry sand, dirt, exhaust fumes, oil, water, salt in the winter months and many other types of dirt and moisture. The combination of weight, rolling material, dirt and liquid is disastrous for an untreated floor. So it’s good thing that the Mesa Coatings floors have a high chemical and mechanical resistance. By applying a synthetic floor you create a very strong and seamless protective layer. Do you have a car wash bay at your garage where you wash vehicles yourself, a car wash at your gas station where customers can drive through or perhaps a ‘do it yourself’ car wash? Then you know it’s important to have wall coating and a safe non-slip floor. Also when it concerns a truck wash / car wash for your transport company trucks. Floor and wall coatings from Mesa Coatings are seamless, chemical resistant, non-slip, waterproof, hard wearing and scratch resistant, can be supplied in many RAL colours and have a high mechanical load capacity. "Mesa Coatings, Because quality has a name!"